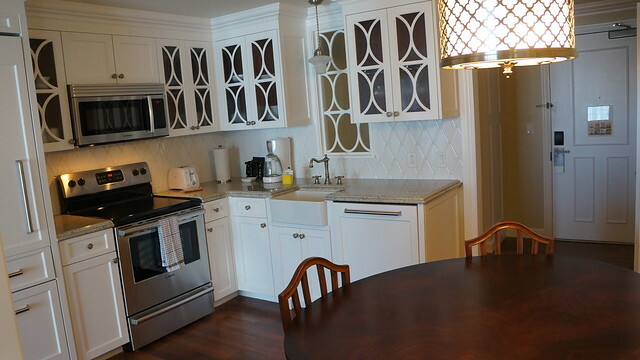 When you think of Disney World you probably don’t imagine granite countertops, marble tiling, stainless steel appliances and state of the art technology but that’s exactly what you’ll find at The Villas at Disney’s Grand Floridian Resort and Spa. 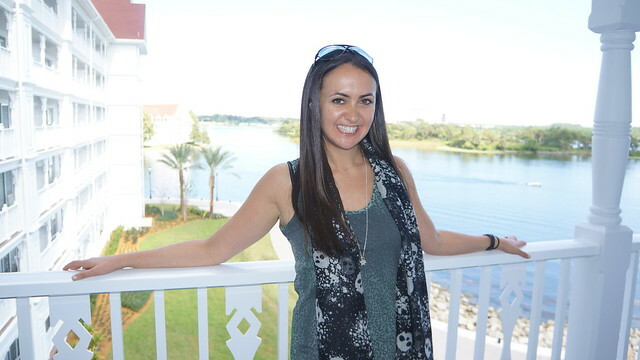 I was lucky enough to be hosted this past weekend at Disney World’s newest and most luxurious property: The Villas at Disney’s Grand Floridian Resort and Spa. 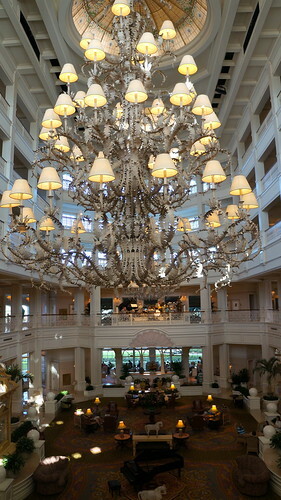 I loved the Victorian-style splendor and thoughtful comforts at this sophisticated Disney Resort hotel. 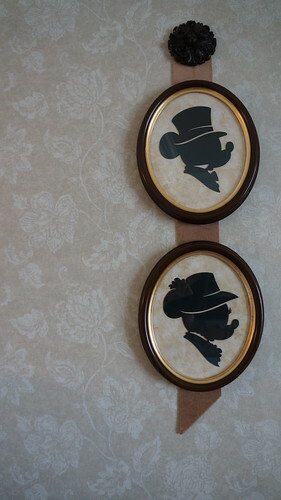 The Villas are themed around the Disney classic film, Mary Poppins and they’re supercalifragilisticexpialidocious. 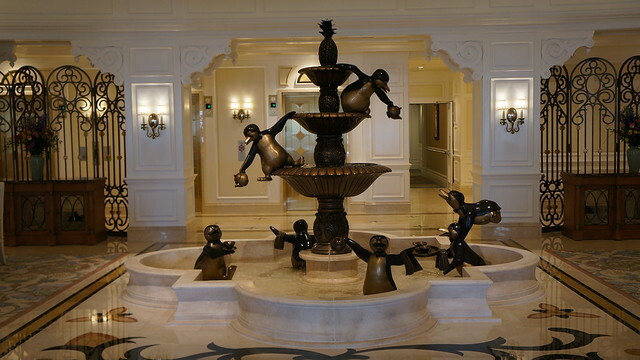 The Poppins connection is apparent as soon as you enter the lobby: at its center is a large fountain, which features the penguins from the film. 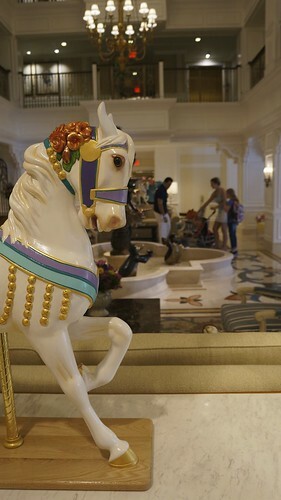 Surrounding this major focal point are comfy, classy couches and other Mary Poppins themed touches, like this lovely carousel horse. There are also two gorge-normous (my new word for big and beautiful) four-story chandeliers that hang above the fountain. 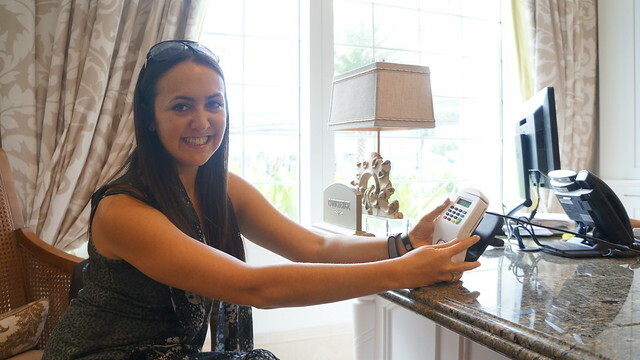 The Villas feature a separate lobby and check-in system from the main building of the Grand Floridian Resort & Spa, which made checking-in a quick and seamless process. We also were able to try out Disney World’s new accessory that doubles as cash, key, FastPass, park ticket and ID bracelet (it will tell the Disney characters children’s names before they approach!!) This was an excellent new feature! We loved it. A main selling point for the villas (as opposed to a room at the Grand Floridian) is the size. The villas are all extremely spacious and offer larger accommodations than Disney Vacation Club has offered to its members in the past. The villas range from deluxe studios that sleep 5 to three-bedroom grand villas that sleep 12. Deluxe studios are about 374 sq. feet, one-bedrooms are about 844 sq. feet, two-bedroom villas are about 1232 sq. feet, and three-bedroom villas offer an impressive 2800 sq. feet. Two and three bedroom villas also offer two full bathrooms. 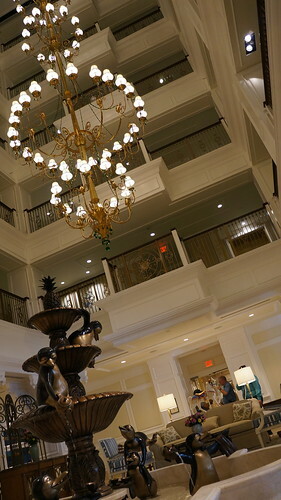 The Mary Poppins theme and Victorian style décor is incorporated throughout the rooms as well. 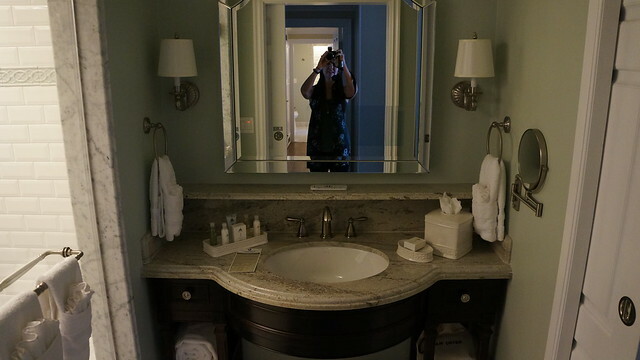 As you know, because of my Manhattan locale, I have a teeny, tiny bathroom. So, one of my favorite parts of travel is to get a major upgrade in the restroom department! And boy did this villa ever upgrade me! The bathroom featured a roomy rainshower (two actually, since I was in a two-bedroom villa), a deep-soaking tub (with air jets!) 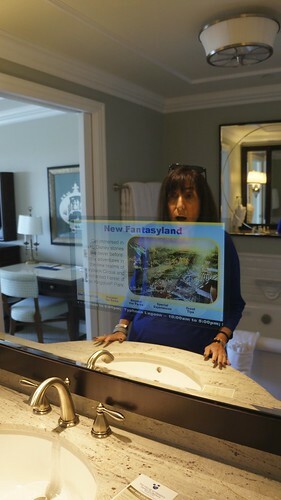 and a state-of-the-art mirror with a television inside (This was most impressive as you can tell from my mom’s genuine excitement). 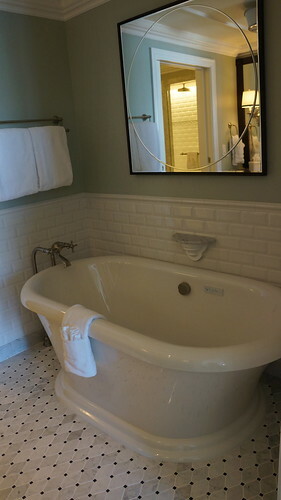 The bathrooms are brilliantly configured for families; one section has a toilet and walk-in shower while the other includes a vanity and sink area as well as the bath tub. This way, families can expedite the “getting ready” process in the morning, allowing more than one person to use the facilities at a time. There are bathrobes and slippers for guests and a hairdryer too. There is a makeup mirror at eye-level but sadly it didn’t light up (personal pet peeve). I loved the toiletries, though, which I was pretty suspect of at first. I remembered pretty mediocre toiletries coming to Disney World when I was growing up and when I saw that the scent was “Sea Salt,” I had my doubts. But I have to admit. I thought that they really smelled wonderful (whatever it was, since sea salt doesn’t really have a smell) and worked great too. I swear this picture above was a genuine reaction! The living rooms all feature plush furnishing and a flatscreen television with DVD player, chairs and several ottomans—the perfect place for a family to gather and hang out. I am also obsessed with the fact that a bed comes out from under the TV in an easy fashion. Sure beats a rollaway. It’s nice because when you’re done you can just put it away easily and open the room back up. I hate a messy hotel room! You’ll feel right at home because the villas are all equipped with sweet amenities. 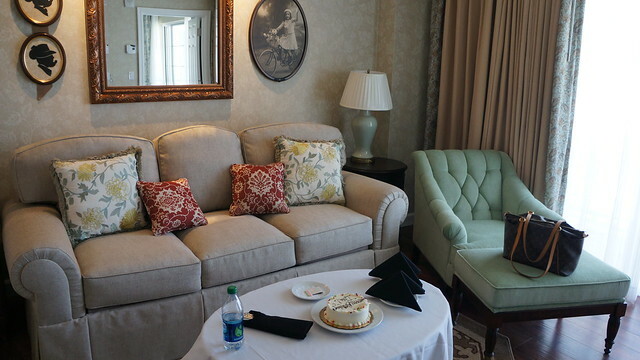 In the deluxe studios there is a kitchenette but all other sized villas feature a full-size kitchen with a full refrigerator, microwave, coffee maker and dishes/dishwasher. The one, two and three-bedroom villas also feature washer and dryers, which I love! There is nothing better than coming home with all clean clothes! And of course I don’t have kids but I would imagine this would make life a lot easier if you’ve got a messy brood. I also am a huge fan of the large breakfast nook. I can just picture the cutest family ever enjoying this. 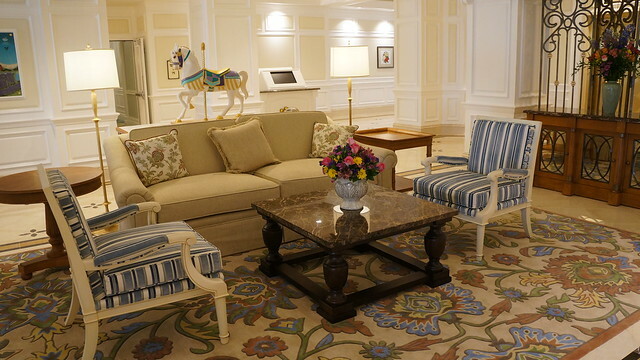 Guests at the Villas at Disney’s Grand Floridian Resort & Spa will be able to enjoy the recreational facilities at the main Grand Floridian as well. These amenities include: several pools (with poolside service), water activities (including a little playground and waterslide), the Seven Seas Lagoon beach, boat rentals, and Senses Spa. Senses Spa is supposed to be amazing. I didn’t have a chance to try it out but friends on the trip did. They told me it was wonderful and that they customized everything to your liking. 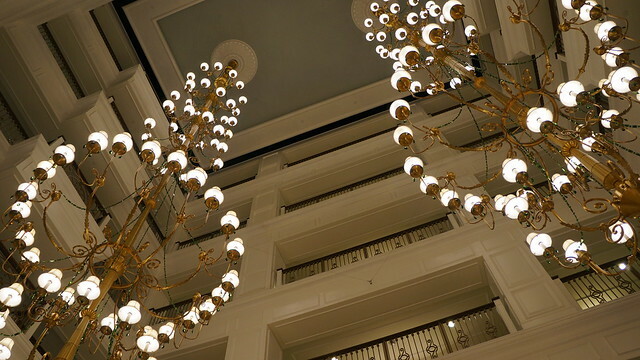 The Grand Floridian Resort & Spa features several fine dining options as well like Victoria’s & Albert’s, Citricos, and Narcoossee’s. Additionally 1900 Park Fare offers character dining. 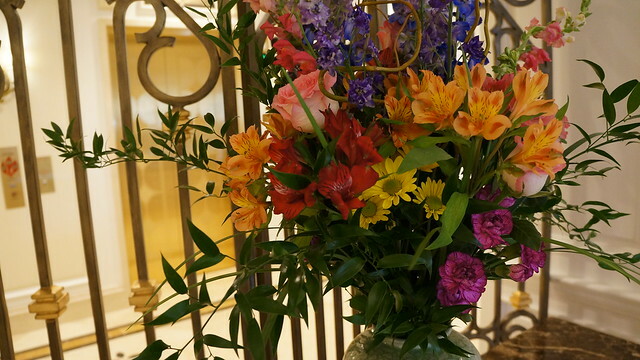 There are also more casual options like the Grand Floridian Café and the Garden View Tea Room. Sadly I didn’t have a chance to try out many of the dining options during this trip. I am dying though to get to Victoria’s & Albert’s, which is a AAA Five Diamond Award recipient since 2000(a jacket is required for men). The menu here is inspired by the freshest seasonal ingredients from around the world like truffles from Italy and beef from Japan. The hotel is located just one stop from Magic Kingdom park on the complimentary Resort Monorail. The monorail system is the quickest and easiest way to get around Disney World. It comes much faster and regularly than the buses (which aren’t bad either, just a little slower and less frequent). Trust me when I say, there is nothing more magical, in terms of transportation than the monorail. There are movie screenings offered outside, under the stars by the Courtyard Pool. Great for kids and adults alike! There are arcade games for kids in the main building. Guests can jog on a path along the Seven Seas lagoon. 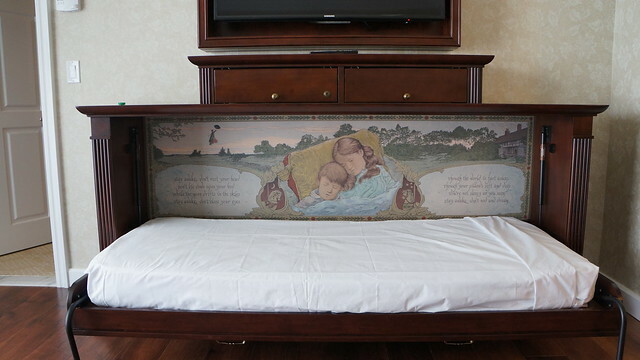 Disney Vacation Club Members are offered a large selection of movies to watch in your room. The service was impeccable and this is even before the hotel actually opened. Staff were all over-the-top sweet to guests, as I have come to expect at Disney properties. Although I thoroughly enjoyed my stay and would love to come back, I always have to point out my nitpicky things. Of course, people will undoubtedly complain about the prices, which are a bit high. But guests who can afford it will probably be happy paying a bit more to stay somewhere that caters to luxury. The rest of my complaints are petty but the lamps on the nightstands were pretty flimsy. Every night when I went to turn it off I almost knocked it off because they were so light. I also missed table-top plugs either on the desk or on the nightstands. I also wish there had been bottled water in the room since I think that Florida tap water smells and tastes like sulphur. Like I said, my complaints were petty. I would highly recommend a stay here if you are going to stay on the Disney property, which I think all visitors should. 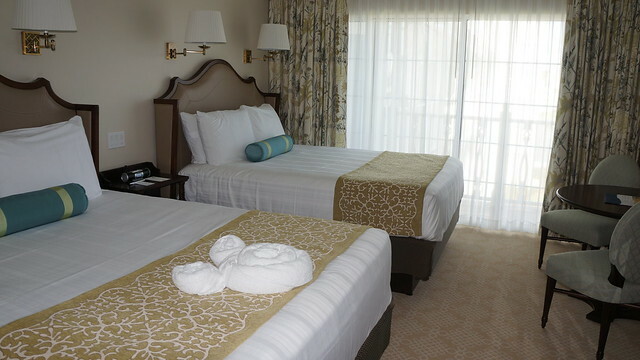 Aside from completing the Disney experience, staying on the Disney property affords guests many privileges like extra magical hours where parks are open for a couple hours either early or late just for hotel guests. This is a great time to get into those rides that are always packed! But I digress, I really loved this hotel and look forward to one day returning with possibly a big enough brood to warrant a stay at the three-bedroom grand villa—just kidding , a one-bedroom will probably suffice J I do live in Manhattan after all! 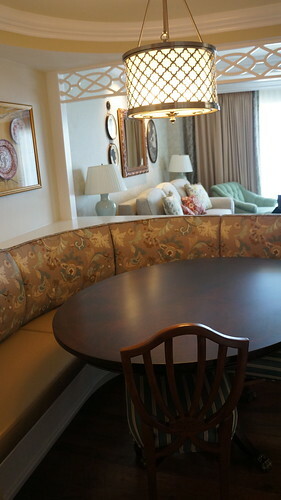 Also be sure to check out my insider and luxury expert review of the Four Seasons Orlando at Walt Disney World. I haven’t been to Disney since childhood way back in 1984. I’m sure so much has changed. It seems so many adults without kids are going there more and more. I’m just afraid that when we eventually take our son there he’ll realize not all of our trips have to be art and culture. What a great review Katie. I was just there this morning to see the new DVC resort and you’re right, it is gorgeous! I can’t wait to stay there myself. The fireworks show you saw was Wishes at the Magic Kingdom, rather than Epcot. I watched them from there last night and they were amazing. Thanks! Where was my head! Thanks for stopping by!!! Hope you’ll follow us and give us a share! Come and enjoy with Canadian Cottage Rentals, Canadian Cottages Prince Edward Island, Coastal Cottage Rentals Prince Edward Island and Cottage Island Prince Edward Island. been made. I’ve subscribed to your feed which must do the trick! So happy you found this helpful! Be sure to drop questions whenever you’d like!